Collaborate with an English Language Arts teacher in my school on iEARN project with his students. 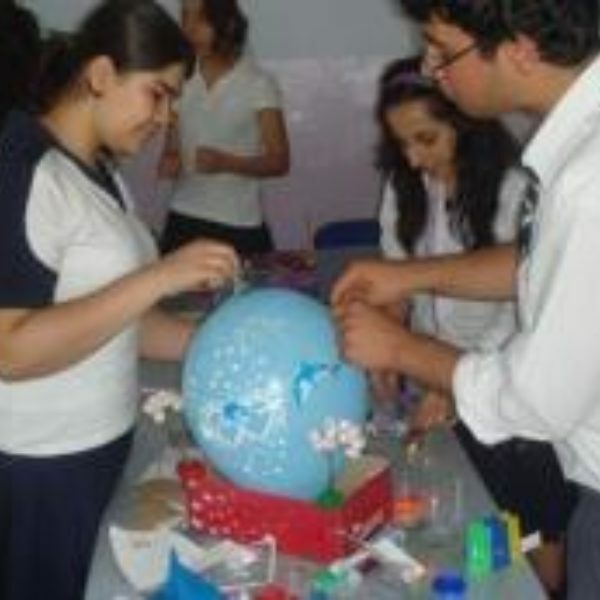 Investigate, learn about, and participate in an iEARN project. Acquire new skills that will help develop students into becoming 21st Century learners. Students will create relationships with other students from different parts of the world. Students will participate in a cultural exchange. Students will evaluate and analyze cultural differences in daily life activities. Students will reflect on their own decision making strategies within the context of choices and consequences. Understand students from other cultures make decisions based on different cultural norms and expectations. Analyze and evaluate their own decisions so that they will understand the responsibilities and consequences of their decisions. Students will gain an appreciation and knowledge of cultural differences. Students will recognize and apply the principals of code-switching in a digital context and real world daily life (school, work, etc.). RI.3 Analyze a complex set of ideas or sequence of events and explain how specific individuals, ideas, or events interact and develop over the course of the text. RI.7 Integrate and evaluate multiple sources of information presented in different media or formats (e.g., visually, quantitatively) as well as in words in order to address a question or solve a problem. W.3 Write narratives to develop real or imagined experiences or events using effective technique, well-chosen details, and well-structured event sequences. W.5 Develop and strengthen writing as needed by planning, revising, editing, rewriting, or trying a new approach, focusing on addressing what is most significant for a specific purpose and audience. W.6 Use technology, including the Internet, to produce, publish, and update individual or shared writing products in response to ongoing feedback, including new arguments or information. SL.11-12.1 Initiate and participate effectively in a range of collaborative discussions (one-on-one, in groups, and teacher-led) with diverse partners on grades 11–12 topics, texts, and issues, building on others’ ideas and expressing their own clearly and persuasively. SL.2 Integrate multiple sources of information presented in diverse formats and media (e.g., visually, quantitatively, orally) in order to make informed decisions and solve problems, evaluating the credibility and accuracy of each source and noting any discrepancies among the data. SL.3 Evaluate a speaker’s point of view, reasoning, and use of evidence and rhetoric, assessing the stance, premises, links among ideas, word choice, points of emphasis, and tone used. SL.5 Make strategic use of digital media (e.g., textual, graphical, audio, visual, and interactive elements) in presentations to enhance understanding of findings, reasoning, and evidence and to add interest. SL.6 Adapt speech to a variety of contexts and tasks, demonstrating a command of formal English when indicated or appropriate. The student will create written work that has a clear focus, sufficient detail, coherent organization, effective use of voice, and correct use of the conventions of written Standard American English. The student will write for a variety of purposes and audiences. The student will create written works, oral and auditory presentations, and visual presentations that are designed for a specific audience and purpose. Standard 1: Students recognize their rights and responsibilities in using technologies within the context of today’s world. Standard 2: Students use critical thinking and evaluation while incorporating appropriate digital tools and resources into their education. Collaborate safely, responsibly, and effectively when using wikis, blogs, email, and emerging technologies. Understand the appropriate time and place to use instant messaging lingo and emoticons as they apply to formal and informal writing. Standard 3: Students recognize the ethical and legal issues while accessing, creating, and using digital tools and resources in order to make informed decisions. Understand the legal, ethical, and privacy guidelines for emailing and viewing/posting content. Students will recognize that posting inappropriate pictures of themselves and others is wrong and can carry legal consequences. Students will recognize that sending inappropriate emails about others is wrong and can carry legal consequences. Students will understand that posting or commenting on anything that could hurt others is wrong and can carry legal consequences. Students will understand when it is appropriate to forward digital communication (e.g., email, text messages, pictures, videos). Students will understand that significant legal consequences are depending on student age and the offense. Recognize the responsibility, legal consequences, and emotional effects of cyberbullying. Standard 4: Students will recognize online risks and dangers in order to take appropriate actions to protect themselves while using digital tools and resources. Introduction of thematic unit of “Choices and Consequences” through the use of Macbeth and current young adult literature. Introduction of the concept of global awareness, cultural appreciation, and the effect of individual decisions. Introduce digital citizenship through the linguistic practice of code-switching (the practice of moving back and forth between two languages). Introduction of young adult books. 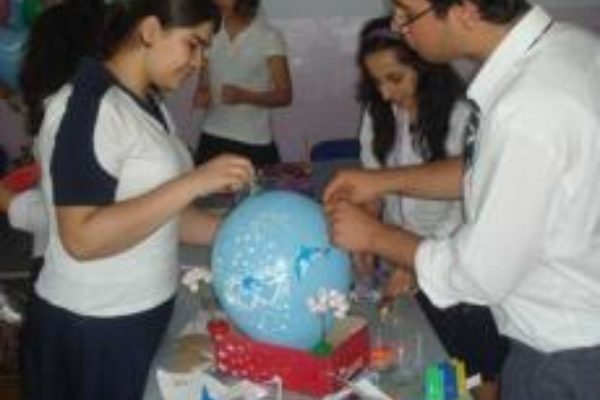 Begin student participation with iEARN. Sharing of multimedia activities on iEARN. The project outline involves iEARN activities the last two weeks of the project. Students will be introduced to the project using many different resources including videos, songs, pieces of literature, Web 2.0 tools, etc. Instructional strategies include the use of book passes, book clubs, Reader’s Theater, Socratic Seminar, peer-editing, reflective writing, etc. This project will tie in to the English curriculum of British literature through the use of texts such as Macbeth, No Man Is an Island, Rhyme of the Ancient Mariner, etc. The literature is the tool for the theme of choices and consequences in a global context. Students will be interested in the topic because they are going to be able to connect classic British literature to their everyday life where they must make choices and decisions that impact not only their own lives, but others in their community and world-wide. The use of technology in the project (Glogster and global collaboration) will keep them interested. The concept of code-switching will keep them interested as too. The different instructional strategies implemented will get them interested in the topic. I think they will be excited about connecting with students from different parts of the world. The students’ technology knowledge is the major strength they will bring to this project. They already know how to email and create digital projects. They have good writing skills also. Since the major piece of student created work is a self-reflection piece, it is not necessary for students to do a lot of research. However, it will be helpful for them to research their partnering country when that is determined. Students will be organized through their book clubs. The book clubs are organized through and a “Book Pass” activity where students can have choice in their literature selection and group. Responsibility will be shared by members of the group, but the participating teacher and I will be ultimately in charge. Every project exchange will be assessed according to a rubric. There will be peer-evaluation of emails, as well as the teacher who will be in charge. Students will collaborate and/or communicate with other students at least once a week. Next school year, all of our students will have their own individual device (either a laptop or iPad) with Internet access at school, so I am planning on more than once a week. Teacher will monitor all work during the project and approve the work before any work is posted. The project includes a lesson on code-switching, which includes the topic of appropriateness for intended audiences. in the introduction stage of the project? Students will be assessed in the introduction of the project through the use of Socratic Seminars. Using a rubric, the students will be assessed on their participation, thoughtfulness, etc. They will be required to turn in their notes and questions. in the implementation of the project? in conclusion of the project? Students will be assessed at the end of the project based on a self-reflection paper about the project. My participation in the project will “officially” end when the students have completed all the requirements for the project. However, I would like to continue the project with other students in my school with other classes from different parts of the world. Students will write a self-reflection paper that will conclude their participation in the project. After students complete the project, they will collaborate with 9th graders (younger students) in the school on the theme of decisions and consequences. They will assume the role of mentors for these younger students who need someone to help them make better choices and decisions as freshmen in high school. Students could be interviewed on school news program explain their participation in the iEarn project. They could explain iEarn in the context of global collaboration and their experiences with other students from different parts of the world. Students could produce PSA (public service announcements) about code-switching and digital citizenship. Students could write articles about their iEarn experience for publication in the student newspaper.